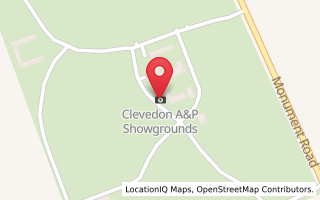 Clevedon Pony Club offers members the opportunity to compete in a wide range of external competitions. Manukau and Auckland Districts have teamed up in 2018/19 to provide competitions for riders from Clevedon, Beachlands, Totara Park, Papatoetoe, Pointways and Whitford Pony Clubs, including District Day where riders take part in a series of challenges including dressage, showjumping and mounted games. Our riders also represent the club at external dressage, showjumping, eventing and mounted games competitions. Read more. Riders will be advised of any external competitions suitable for their level of riding, and will be encouraged to participate if they wish to. To be able to compete at District or Area events riding members must have completed the required number of rallies (see rules). A dressage Zone Team is selected from trials held during December from Manukau District riders, Pointways District, Papatoetoe District and Auckland District. Two riders plus one reserve rider are selected in each age group of 15yrs & under (Novice test) and 16yrs & under 21 (Elementary test). Riders selected for the zone team go on to compete at national level. North Island Champs: Trials are held in December for riders in age groups 13 years and under, 14-16 years and 17-23 years. Riders selected from this competition go on to compete at the North Island pony club showjumping team competition held in Cambridge in February. Presidents Trophy and Abbots Cup: This is a showjumping competition held for Auckland Area pony clubs. Clevedon has a fantastic track record at this competition! In the Presidents Trophy teams of 6 riders compete at 95cm-1m. In the Abbots Cup teams of 4 riders compete at 90cm. Usually held on Anzac Day in April. Branch teams of 4-5 riders of any age compete at Zone Games day in Auckland. Manukau District/Auckland Area ODE: For riders from Manukau District and Auckland Area pony clubs. This is a One Day Event team competition. Branch teams of 4 riders at mixed levels compete in dressage, showjumping and cross country. Manukau Team award, Best overall, Best dressage, Sportsmanship awards. Auckland Area Trials and NZPC Horse Trial Champs: An Auckland Area eventing team is selected on rider results from events held throughout the season. Teams compete at Pony Club Horse Trial Championships which are usually held in April. Timberlands: District team of 6 riders compete at this one day event at open level, usually held in April.